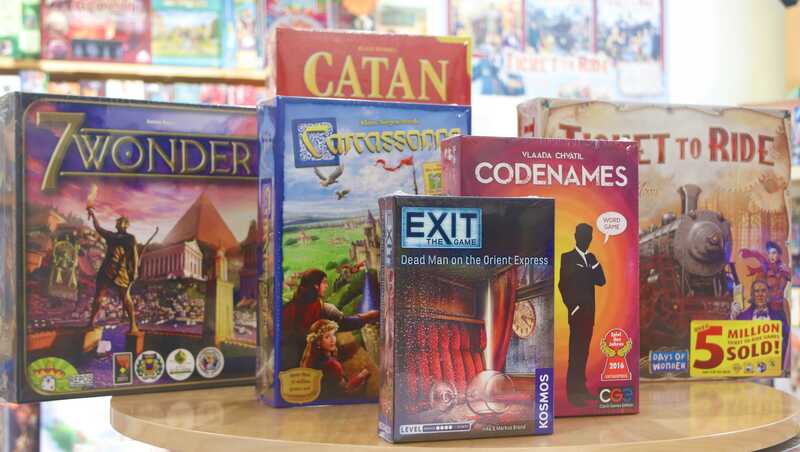 Tuesday is weekly board game night at Diversions Puzzles & Games in downtown Portsmouth! Join us and you can find new games to learn and play! We have a constantly updated game library which you may pick games from to play or you can bring your favorites from home! There is no shortage of games and if this is a new event for you, you’re guaranteed to find a group who would be happy to teach you how to play a new game. The most common games that are played on Tuesdays are light & heavy strategy games. Everything from Sushi Go! to Ticket to Ride to Scythe and everything in between and beyond! Everyone is welcome, new & regular players alike. Drop in and leave at any time!